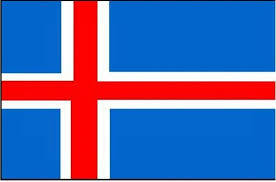 Iceland it´s a country in Nothen Europe.It´s a small country. The flag is blue,red and white. It´s cold in summer and very cold in winter. There is a lot of snow.The capital is Reykiavik.The official lenguage is icelandic.